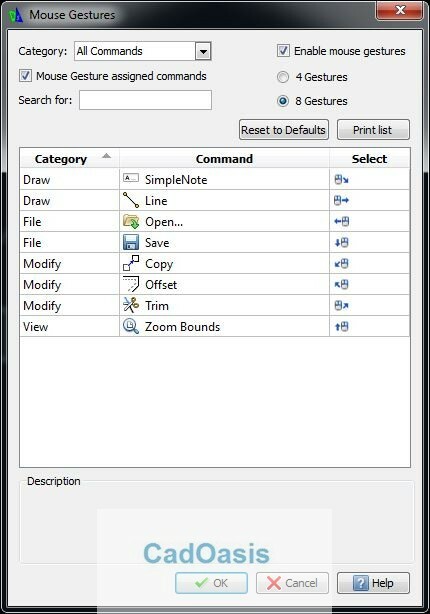 Where is Mouse Gestures window in DraftSight ? 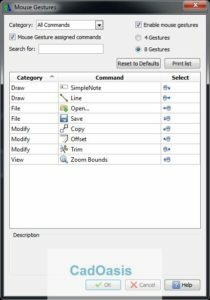 How to assign command to mouse Gestures ? First of all Decide how many Mouse Gesture command you want 4 or 8 ? 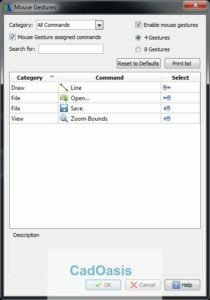 In Search for section type command name you want to add in Mouse Gestures wheel. In Select column Select the direction for which you want to assign particular command. 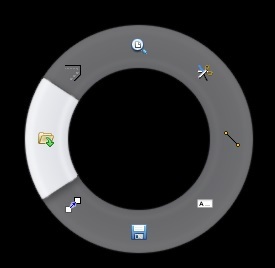 Click ok on dialog box. 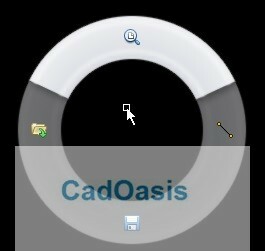 Note: You can Restore to Defaults or Print List of Mouse Gestures command from this dialog box. # Do you know? 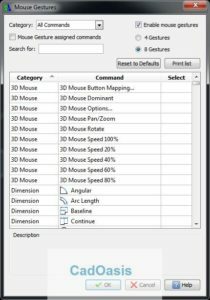 DraftSight Supports 3D Mouse !